A man was shot in the parking lot of a hotel near downtown Anchorage on Monday afternoon, according to police. 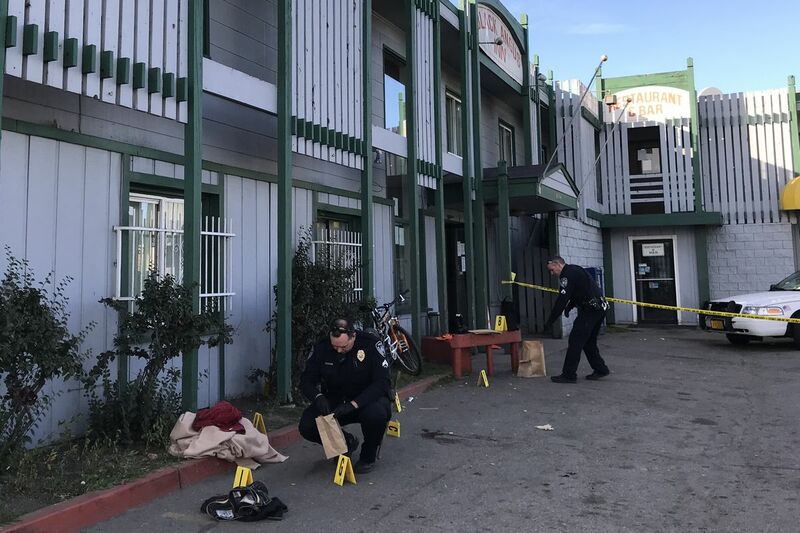 At 4:20 p.m., police responded to the Black Angus Inn, 1430 Gambell St., for a report of a shooting, the Anchorage Police Department said in a statement. Police said a man drove to the front of the hotel and was approached by the victim. The victim "had a conversation with the driver," police said. The driver got out of the vehicle and the two men got into "some type of altercation," police said. The driver shot the victim, got back in his vehicle and drove off. The victim was taken to a hospital with at least one gunshot wound to the lower body. "His condition is unknown at this time," police said. "As of now it appears this was not a random event," police said. "There is no suspect information to release at this time." Nobody had been arrested in the investigation, police spokesperson Renee Oistad said in an email. Police asked anyone with information to call the non-emergency dispatch line at 311, or leave an anonymous tip with Anchorage Crime Stoppers.